It's no secret that the initial K900 offering was a total failure. The car was based on the Hyundai Equus and very few KIA dealers were authorized to sell them. 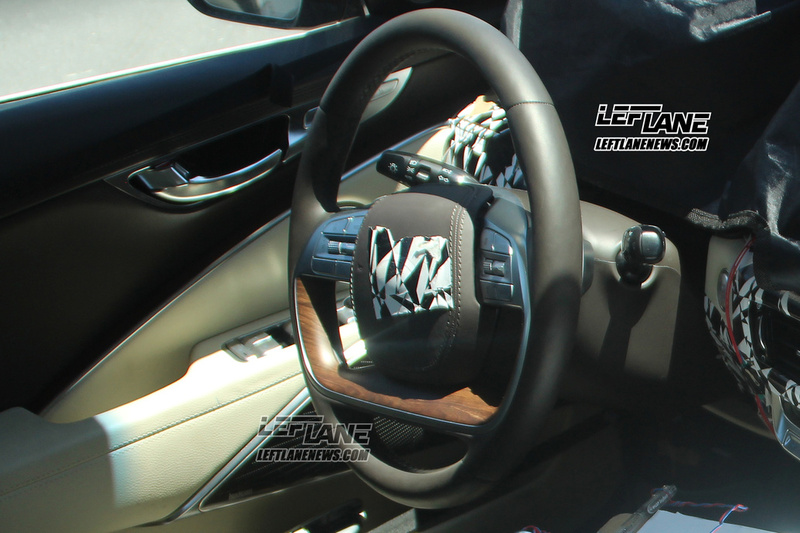 Several things have changed at Hyundai/KIA since the K900 was introduced. Hyundai has introduced the Genesis sub-brand and the G90 has replaced the Equus with a modern, competitive car. There is a modern TT V-6 engine for power, and KIA has introduced the Stinger which should change the perception of KIA. 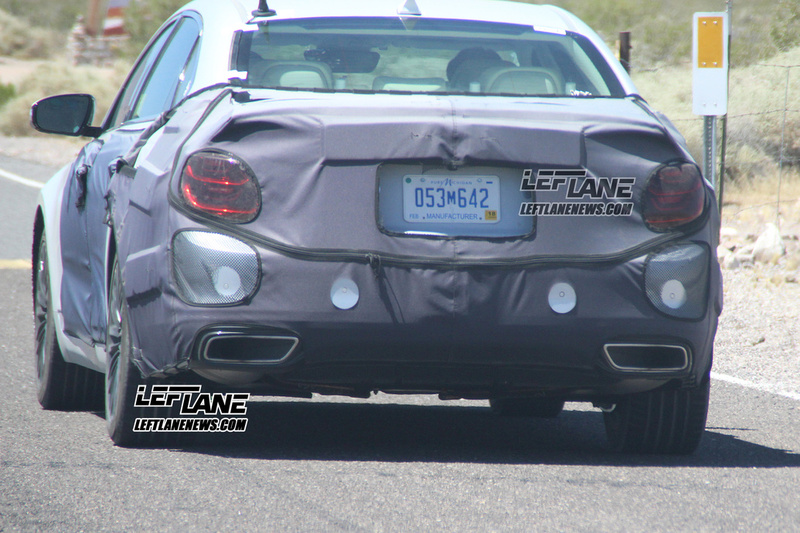 There are now spy photos of a new K900 testing in California. Last edited by oldcajun; 02-14-18 at 09:53 AM. I'm generally not one to criticize Kia much (I have a high opinion of the brand)....but I'm not sure this makes much sense. The whole Genesis division was created for the corporation's truly upscale vehicles.....they don't have to be sold any more under the Hyundai and Kia brands. 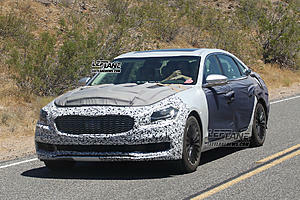 It's no secret that the initial K900 offering was a total failure. The car was based on the Hyundai Equis and very few KIA dealers were authorized to sell them. That's because, like with Hyundai's former Equus, Kia shops that qualified for a K-900 franchise had to have (or invest in) better showrooms, facilities, and service departments. It is nice we get more choice and don't have to pay close to 100K if we want a full sized luxury sedan with some good power. it reminds me of the landcruiser/LX sort of deal. maybe it doesn't require much R&D to reskin the genesis. I'm just glad they're making RWD cars. No other mainstream brand has rwd family sedans. I agree with Mike, the K900 doesn’t make anymore sense since Genesis brand now exist, and with Equis excellent dealership service, why would one is paying same price for a Kia K900 and not getting the same service. Not saying it won’t sell since some might prefer K900 styling more. But it won’t be a huge success from its own sister brand. Seems more risky than foolish. I'm sure that Kia weighed the risks, rewards etc. On a new K900 before deciding to do it. It's not a big risk since the K900 is a strong seller in the Korean market. The U.S. market can take whatever incremental sales it wants from this extremely low volume car. I kinda view this as a possible upgrade for Stinger owners in the future. It could work in that regard. However, this is assuming you have Kia brand loyalty. To be honest this strategy seems like a long shot, if it's in fact what they're going for. That's because, in Korea, they like plush, comfortable-riding, softly-sprung sedans. There, they haven't been conditioned by the automotive press and the so-called "enthusiast" crowd to consider them Grandpa and Grandma vehicles, as is the case here. The name is awful makes it sound cheap from the get to. Could be a model of vacuum cleaner. This is a name created for US market. In Korea it is the K9!